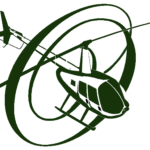 Every Monday Oregon Helicopters gives away a free, private helicopter tour. Winners receive a gift certificate good for 12 months and are allowed to take 2 additional guests along on their private tour. Winners are randomly selected from our email list and are notified via email and Facebook. No purchase is necessary. To be entered to win simply sign up for our email list using the form below. Oregon Helicopters does not share your email information with any third party.